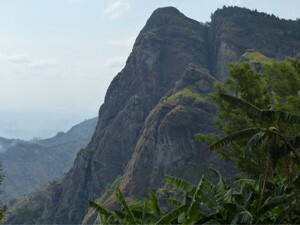 The point is nearly 1,400 meters above sea level. 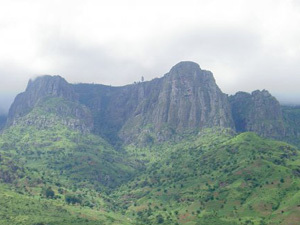 Look 1000 meters down to the Maasai plain around 400 meters above sea level. 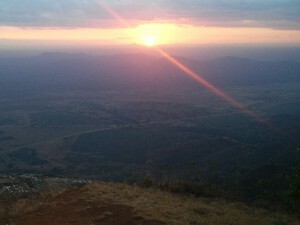 On the far left you will see the city Mombo, you know from the bus ride up here. Heading right the road leads towards Moshi and Arusha, heading left it leads towards Tanga and Dar Es Salaam. Recognize the elongated green ribbon across the street? Here the Pangani River runs. You should demand a receipt. You may be channeled by a guide through a gate or Irente-Lodge. Then you will again pay 2,000 TSH and you get a drink. You can do this, but you do not have for this is not official. At your right right-hand side from the football field the path leads up directly to the viewpoint without this goal. Alternative: Yogoi Viewpoint> non-entry | The way is not so nice. Duration: 3 to 4 hours comfortably | 2 hours speedily | This tour is possible even without a guide – just ask us for directions. Not far from Irente Viewpoint you can stop by at Irente Farm. 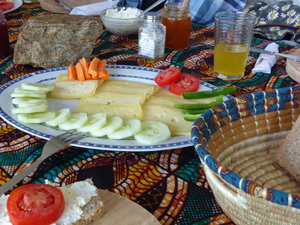 Their cheese platter along with fruit juice, fresh bread, butter, jam and vegetable is highly recommended. Note that Irente Farm may not be confused with Irente Lodge, which is located directly at the viewpoint – even though this is also a nice place.